History was made this week as Gov. 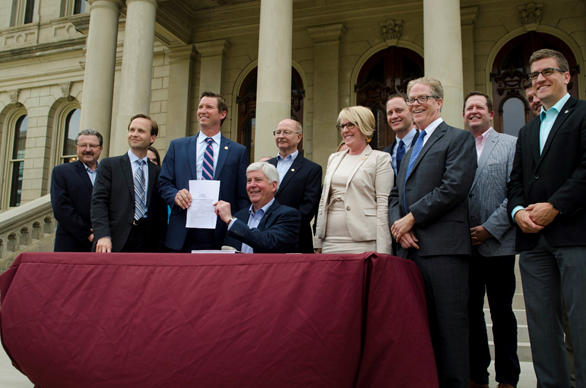 Rick Snyder signed his eighth and final budget for the state of Michigan. It was not only the anniversary date of the Governor’s first budget signing, but also the eighth year in a row he signed the budget months before the September deadline. Over the years, Gov. Snyder has stressed that in order for our state to experience immediate and long-term growth and success, we need a smart, fiscally responsible budget completed on time. The historic budget signing yesterday made him the first Michigan governor to have the budget completed early all eight years of his governorship. Gov. Snyder has set a new standard for the way budgets should be done in Michigan. 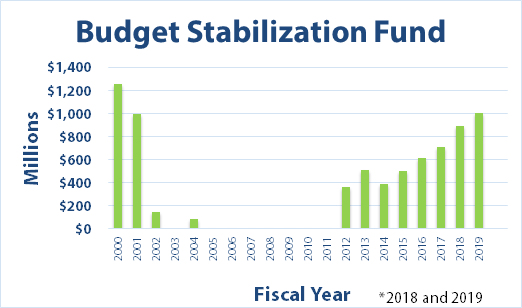 For the past eight years, our state has grown to expect the budget to be fiscally responsible, beneficial for all Michiganders and finished before the deadline. Because Gov. Snyder made the commitment to ensure those expectations are met, residents have experienced transparency of government spending without dealing with government shut-downs and the drama that comes along with it. · Serving the health care needs of more than 670,000 Michiganders covered by Healthy Michigan. · Investing in 13 trooper recruit schools to hire 994 troopers and bring our State Police enlisted strength to its highest level in 18 years. · Keeping corrections spending in check while improving prisoner training and reducing recidivism rates. · Dramatically increasing road funding by more than $1 billion — an increase of more than 42 percent since 2015. · Reducing long-term liabilities by more than $20 billion and putting the state on track to be free of retirement debt by 2038. · Growing a depleted Rainy Day fund from $2 million to more than $1 billion. · Investing more than $300 million into needed technology upgrades to make government more efficient. · Up to an additional 75 Michigan State Police troopers, 350 corrections officers and 7 new corrections officers will be funded. · To help reduce and eliminate sexual assault on college campuses, the budget provides for a $1 million investment in the Campus Sexual Assault Grant Program. · Full funding of the governor’s recommendation of $100 million for the Marshall Plan for Talent to transform the way Michigan will develop its talent to jobs pipeline. · A total of $58 million across fiscal years 2018 and 2019 in new funding for school safety initiatives, which includes school safety grants, school mental health counselors, and OK2SAY enhancements (tip hotline for schools). · A total of $150 million to support the required deposit to the road funding package and another $300 million in one-time revenue. This money will combine with over $600 million in new revenue generated by the 2015 package to exceed $1 billion in total for maintaining and improving Michigan’s roads. “This budget will maximize Michigan’s momentum with significant investments in our key priorities. 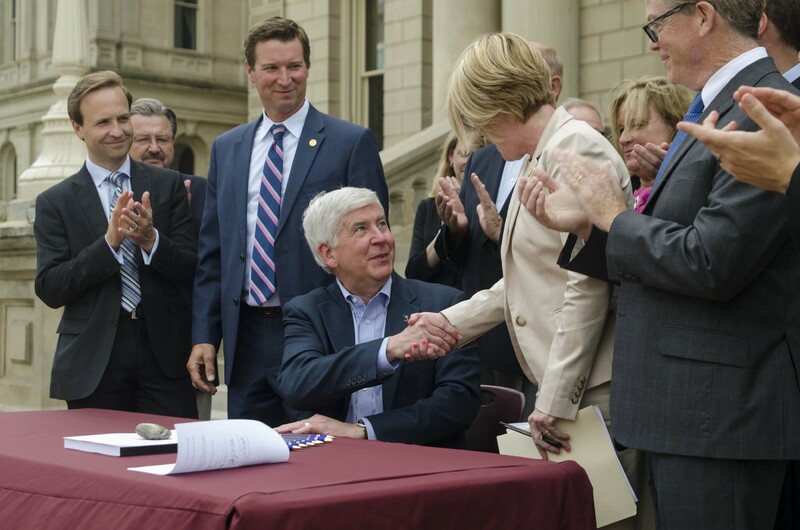 We also have continued a strong commitment to fiscal responsibility by paying down debt and increasing our Rainy Day Fund balance to more than $1 billion,” Snyder said. A balanced, fiscally responsible budget signed ahead of schedule isn’t a rare occurrence in Michigan anymore — it’s the new normal. Michiganders deserve government leaders who make smart, responsible financial decisions without the division and drama of politics as usual. Thanks to Gov. Snyder’s leadership, our state is on the right path toward a better and brighter future for Michiganders today, tomorrow and for generations to come.